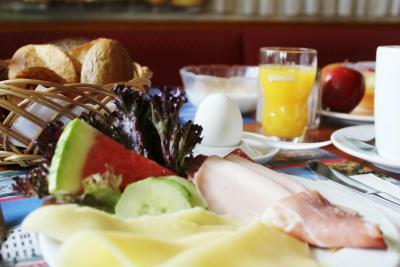 The breakfast and the location. They even had two choices of gluten free breakfast. bust stop for Tegel airport is just out of entrance. Passes every 10 minutes. 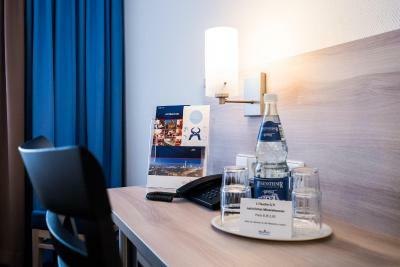 The location was convenient to reach from the TELGEL Airport (on a bus that drops one off just opposite the hotel (likewise for going to the airport). The cost at under Euro 3 one way is a steal for a big city. The ride time is 10 minutes. 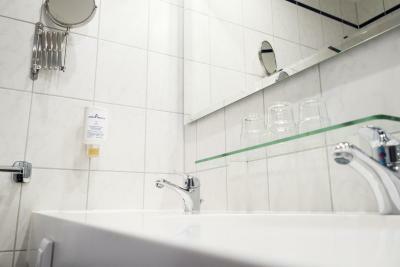 The hotel is well appointed although some of the toilet fittings are aged. 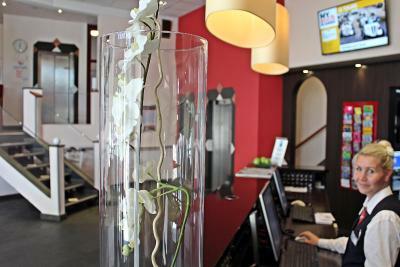 The location and easy bus access from/to the Telgel Airport. 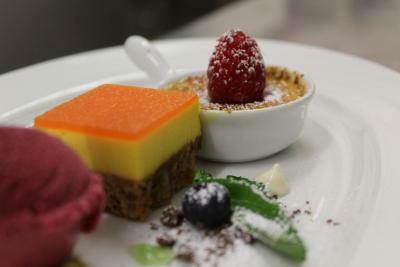 The staff were very pleasant. 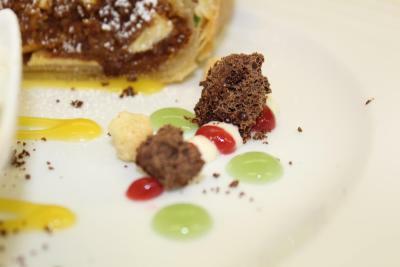 There is a resonably priced restaurant although I did not have food there. Functional family room with four full beds. Everything was very clean. Great value to park the car in the hotel's parking structure while we were on vacation (I pre-booked this); only a 10 min taxi ride to Berlin Tegel. 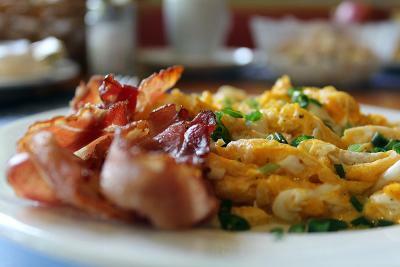 Breakfast was very good, and only adults were charged. We would stay here again. We were competing at a karate competition "Banzai-Cup" and the sports centre was over the road, great location for this event. 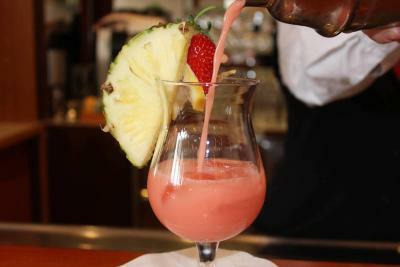 Very friendly and helpful staff, close to airport. 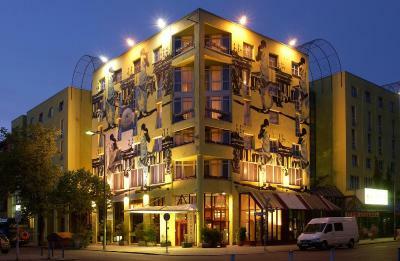 I love the location it's on an island a complete other, more rustic village like atmosphere within Berlin. No hipsters no entitled young parrents pushing sea containers with children non of that fake Berlin crap. just lovely kind people without an fake atitude. 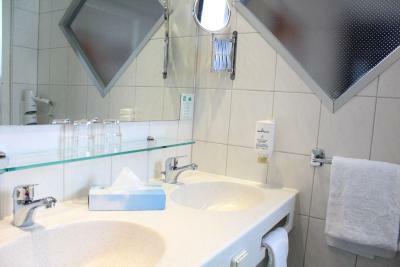 Perfect place, well connected sbahn jungfernheide: 4min from hauptbahn hof 8min from potsdammerplatz! best hide out for a total relaxed Berlin experience ssst the island really is Berlin's best kept secret. Ssst. 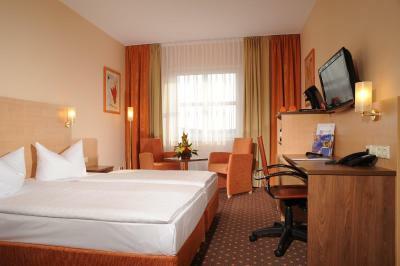 AMBER ECONTEL Berlin Charlottenburg This rating is a reflection of how the property compares to the industry standard when it comes to price, facilities and services available. It's based on a self-evaluation by the property. Use this rating to help choose your stay! 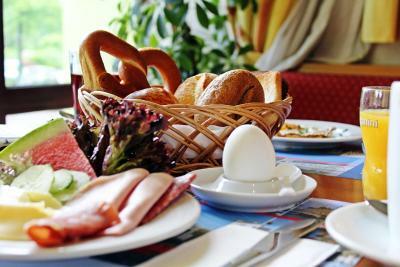 A 10-minute bus ride from Tegel Airport, this 3-star-superior hotel features a restaurant serving local cuisine as well as a bar. 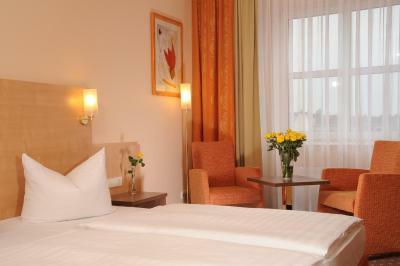 It lies in Berlin's peaceful Charlottenburg district, a 15-minute walk from Charlottenburg Palace. 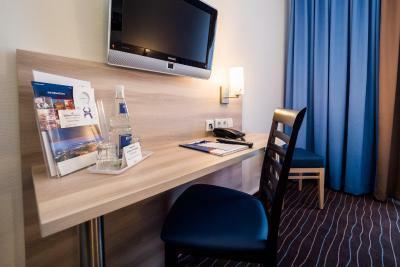 Just 4 minutes from the A100 motorway, the ECONTEL HOTEL Berlin Charlottenburg has a range of rooms with a flat-screen TV, a desk, safe and wardrobe. 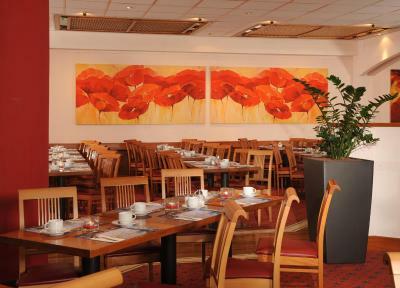 Free tea, coffee and mineral water is available daily between 11:00 and 17:00 in the hotel lobby, where there is also a free internet terminal. 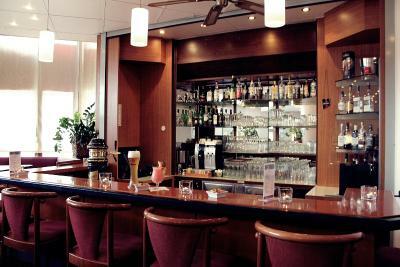 Guests can also relax at the ECONTEL's bar. 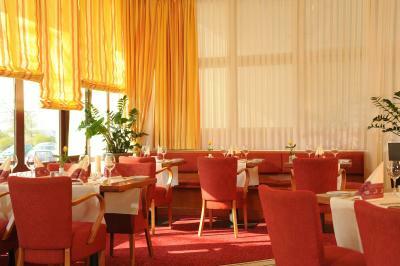 Traditional Berlin and Brandenburg specialties are served in the restaurant, along with international favorites. Rental bicycles are available at the ECONTEL Berlin Charlottenburg. The X9 bus goes directly to Tegel Airport in just 11 minutes from the Sömmeringstraße bus stop directly in front of the hotel. Mierendorffplatz Underground Station is 750 feet away. 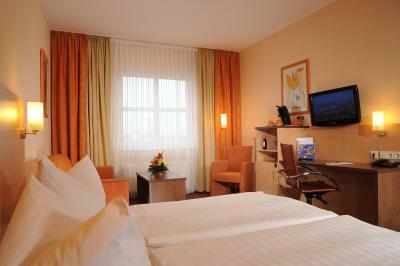 When would you like to stay at AMBER ECONTEL Berlin Charlottenburg? 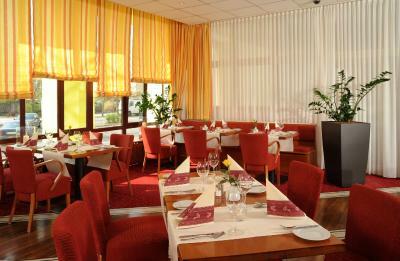 Private parking is available on site (reservation is not needed) and costs EUR 11.50 per day. On the sixth floor, this modern room includes a free coffee maker and a flat-screen TV, as well as a minibar and a leather armchair. It also features free Wi-Fi. This second-floor family room includes a pull-down bunk bed, a satellite TV with international channels and Wi-Fi access. 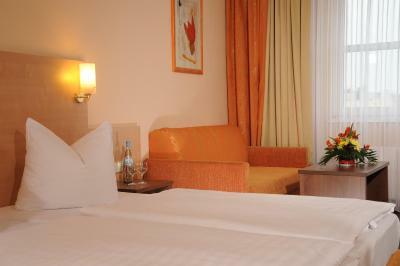 On the fourth and fifth floors, this modern room includes a flat-screen TV and free Wi-Fi. 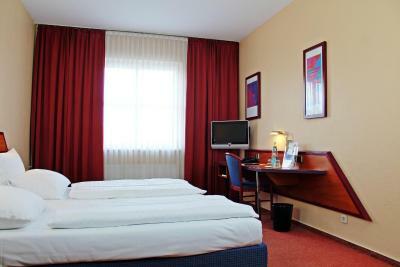 This double room is on the first three floors and includes separate beds, a desk and a satellite TV. House Rules AMBER ECONTEL Berlin Charlottenburg takes special requests – add in the next step! AMBER ECONTEL Berlin Charlottenburg accepts these cards and reserves the right to temporarily hold an amount prior to arrival. The rooms were a bit small and the beds were too close together, a bit crammed for 3 people. Would have liked to have had coffee/tea making facilities (or even a kettle) in the room for such a high room rate. 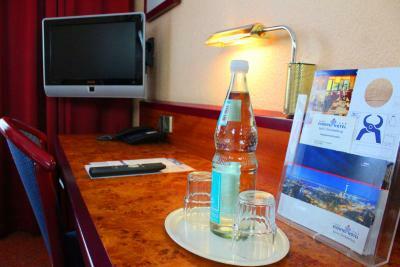 However, the lady at the desk was great and gave us cups of hot water for making tea in our room. I believe they also have free tea and coffee for guests but only at certain times, so we missed out. 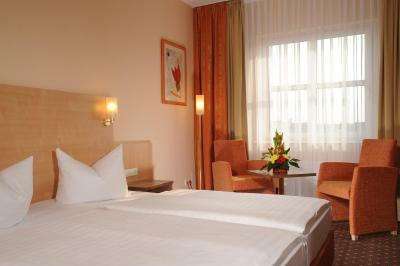 If you are flying into or out of Berlin Tegel Airport you really cant beat the location! The X9 airport bus stops right outside of the hotel and runs frequently for only €1.70 per person. 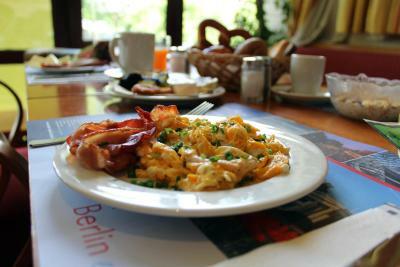 We bought a Berlin Day Travel Card for ABC which made it easy for us to see everything we wanted! 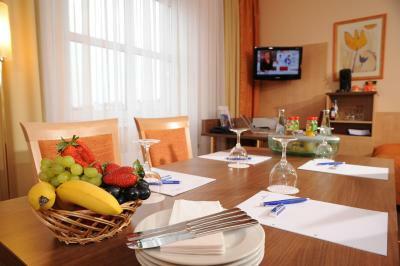 The hotel is about 30 minutes transport from the heart of Berlin and Braudenburg Gate. The hotel staff were extremely knowledgable and efficient. Beds and pillows were comfy enough. 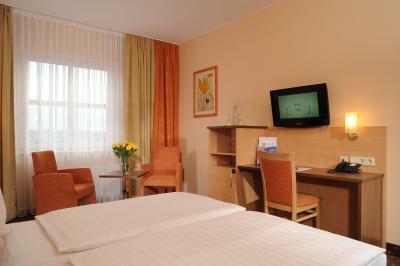 Really close to Tegel airport so location was great! We only stayed for short time before our flight but everything went smoothly and we were able to check in a bit before check in time. 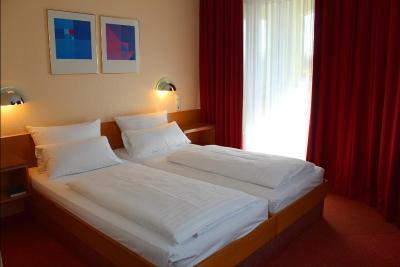 This is a good place to stay when you have an early flight from TXL. Nothing Special, but very clean and the Price was good. No complaints! 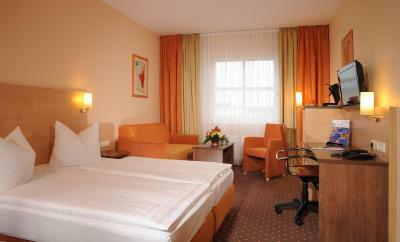 Good location not far from Tegel Airport. River promenade and various parks are near by that are good for bike rides. Big supermarket in the same building. 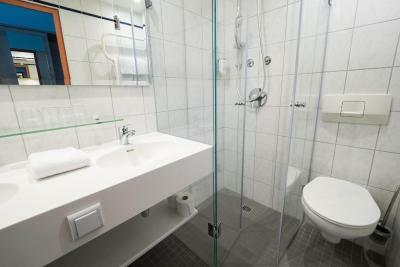 Bathroom clean but old fashioned , no kettle in the room. Good place to sleep before flight from Tegel. Bus stop just in front of the hotel . 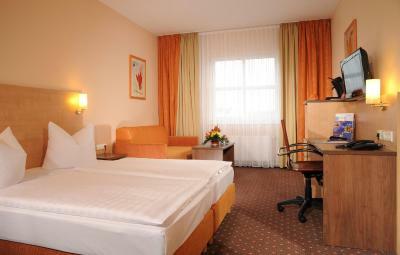 Comfortable bed, adequate room, good breakfast, value for the cost. 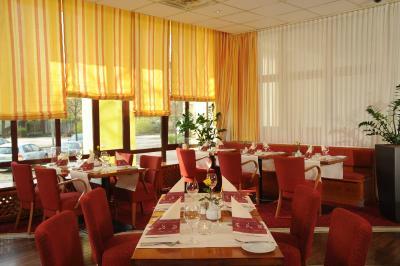 The hotel needs to be a bit updated (still have keys for the doors, old tiles in Bathrooms etc), and you need to take into account it's location is quite out of restaurants, cafes, bars etc, in case you are looking to have dinner out. 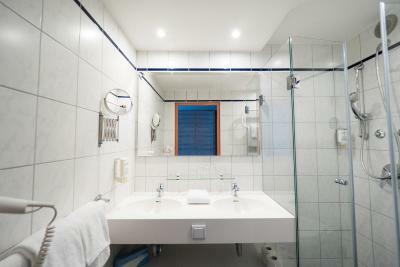 The hotel is comfort and appropriate for people who are looking for a clean and friendly hotel in Berlin, that is also close to the Tegel Airport (12 min by X9 bus). Rooms are ok, staff very friendly and helpful - they were very kind to upgrade me from Twin Room to Double bad, and breakfast is fairly varied.